Possibly on the Mayflower, dandelions made an appearance in America somewhere in the ballpark of 1620 (Plymouth Rock) to 1680. 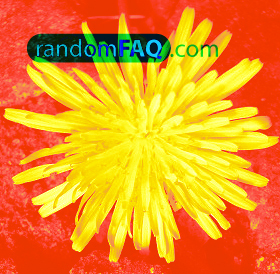 Today, the dandelion is one of the most prevalent weeds in North America. Dandelions are historically know to be a delicious cure-all and are even said to have saved many lives. The plant provides calcium, potassium, vitamin A, and vitamin C. The Internet provides a multitude of recipes for preparing the flower. Because of its use in foods, many more dandelions were added to the mix by Italian immigrants, among other Europeans, during the 1800-1900s. Dandelion comes from the French for lion's tooth due to the look of the petals.